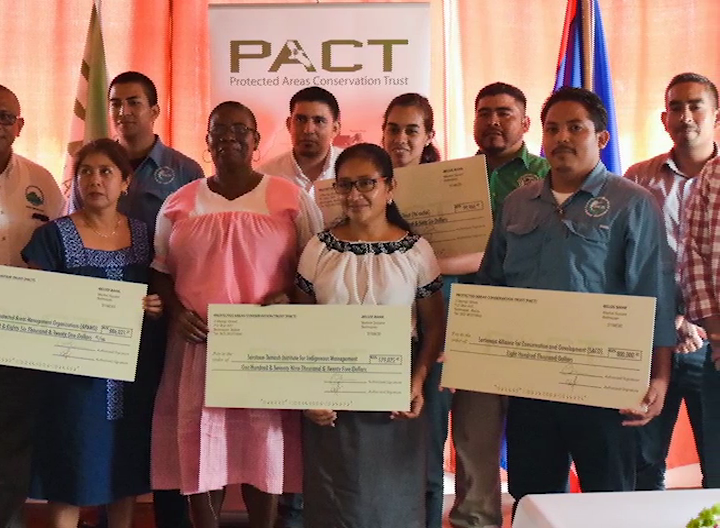 Back in December, the Protected Areas Conservation Trust awarded six point seven million dollars to support improved management of thirteen protected areas across the Belize National Protected Areas System. Earlier this week, they awarded another two point seven million dollars in grants to six local environmental N.G.O.s as a part of the second phase of its conservation investment for the fiscal year 2018-2019. The grants will be invested in eight protected areas over the next three years. Executive Director of PACT, Nayari Diaz-Perez, tells us more about what this round of investments mean for protected areas in Belize. The two point seven million dollars was awarded to the Sarteneja Alliance for Conservation and Development; Mayflower Bocawina National Park; Steadfast Tourism and Conservation Association; Ya’axche Conservation Trust and the Sarstoon Temash Institute for Indigenous Management (SATIIM). This latest grant brings PACT’s total investments to nine point four million dollars committed into the National Protected Area System during 2018-2019.